As an independent school, Lamar serves families throughout East Mississippi and West Alabama. We emphasize university/college preparation in a Christian environment, and we are dedicated to assisting you, the parent, in teaching the whole child — academically, spiritually, socially, emotionally, and physically. Chartered in 1964, Lamar Elementary opened with grades one through six in 1965. Lamar Middle/High School opened in 1970. The school's name pays tribute to the noted Mississippi statesman L.Q.C. Lamar (1825- 1893). Lamar School is accredited by the Mississippi Association of Independent Schools (MAIS), the Southern Association of Independent Schools (SAIS), and the Southern Association of Colleges and Schools Council on Accreditation and School Improvement (SACS CASI). Lamar School presently serves approximately 600 students from Pre-K through twelfth grade. The average student to teacher ratio is 15:1. One of the most significant contributions to the success of Lamar School is family involvement. Parents and grandparents give generously of their time and energy. They participate in the Parents Association of Lamar School (PALS), in the Lamar Booster Club, and in various hospitality functions and beautification projects. Lamar School admits students of any race, color, nationality, or ethnic origin to all rights, privileges, programs, and activities generally accorded to or made available to students at the school. Lamar does not discriminate in administration of its educational policies, admissions policies, or athletic or other school-administered programs based on race, color, nationality, or ethnic origin. 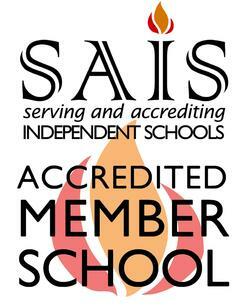 Lamar School is accredited by MAIS and SAIS.